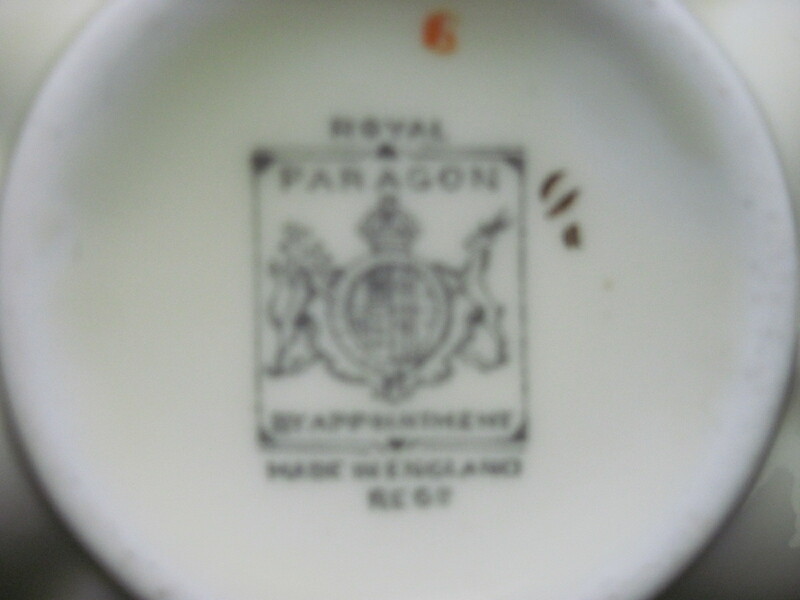 Manfactured by Royal Paragon in the 1930’s, this is a hand painted Bone China teacup and saucer. The background colour is a very pale yellow. The handle is a dark yellow pansy. 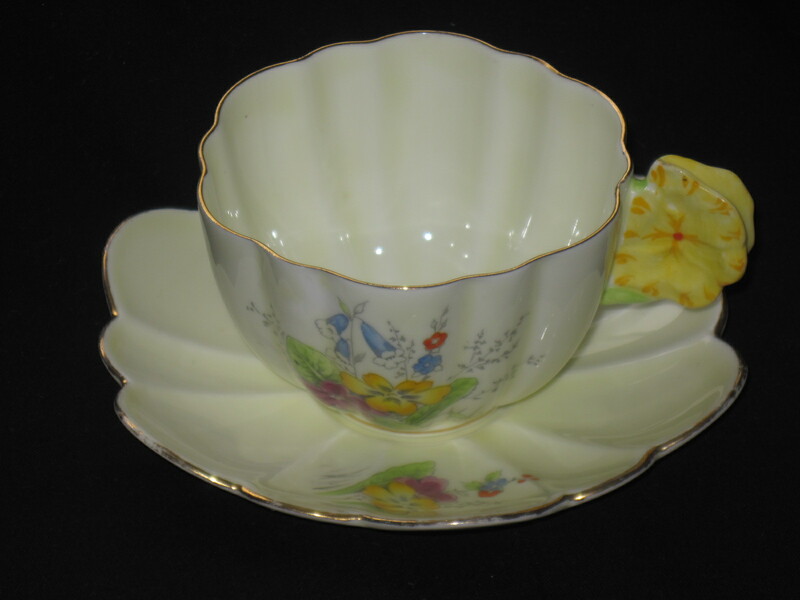 Even the saucer is shaped like the petals of a flower, curving slightly upwards. These are quite collectible because of their flower shaped handles. Please note this teacup is not available for sale. 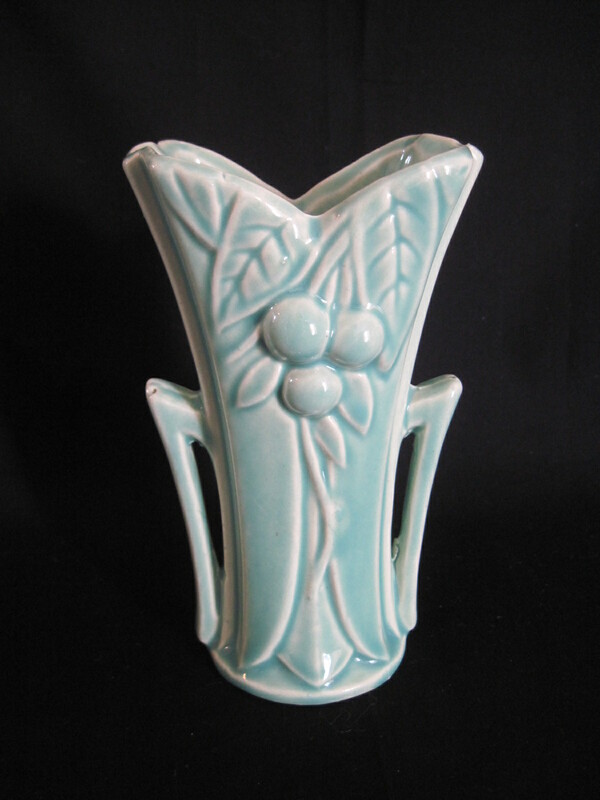 This Art Deco styled vase stands about 6″ tall and is in excellent condition. Dates to the late 1940’s. Manufactured by McCoy in the USA. This vase has a very nice light turquoise colour . McCoy pottery is no longer being made. For sale at my booth at the Almonte Antique Market in Almonte ON, Canada. 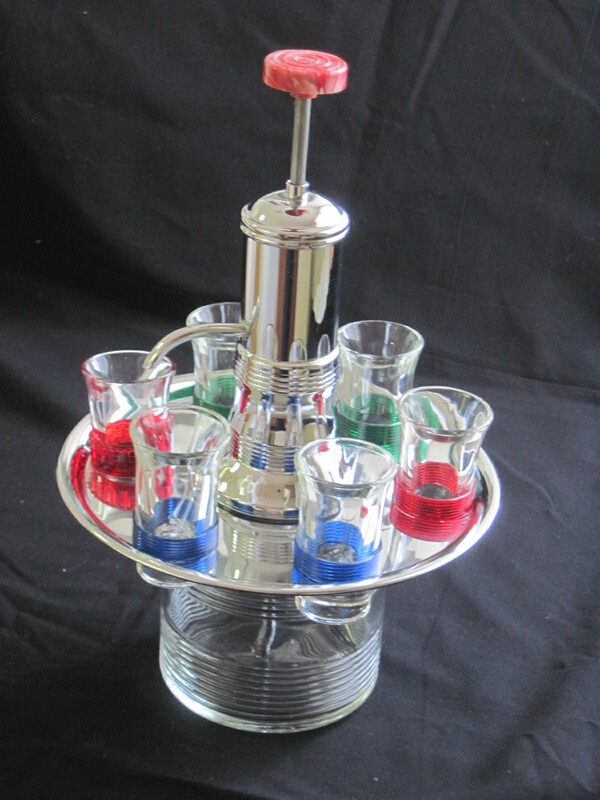 I have done some research on this set but have yet to come up with any information. 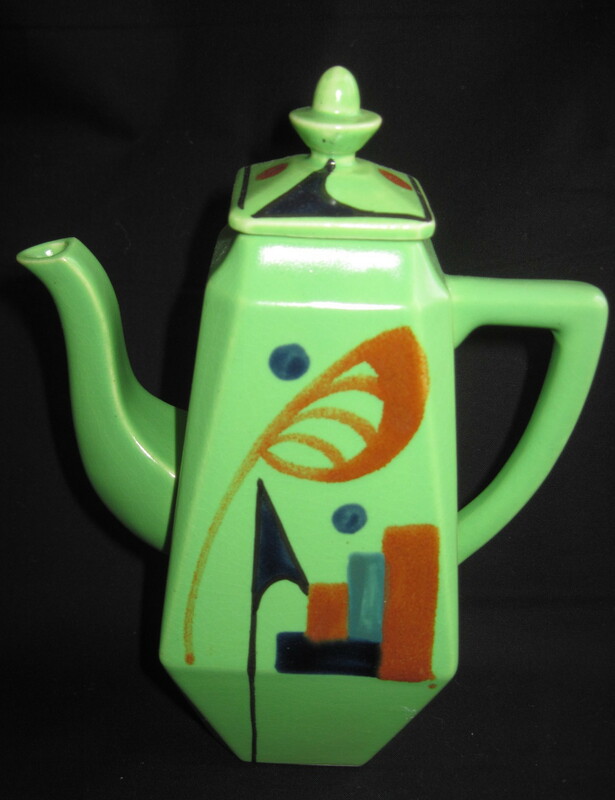 It is quite striking with the art deco pattern and lovely soft glaze. I believe this would be a chocolate pot set or an espresso set. The cups are demi tasse sized and the pot is only about 8″ tall. There are no makers marks on any of the pieces. Unfortunately, one cup is cracked, one cup has had the handle repaired, and one handle of the sugar bowl has been repaired. Nevertheless, I still think the set makes a good impression. 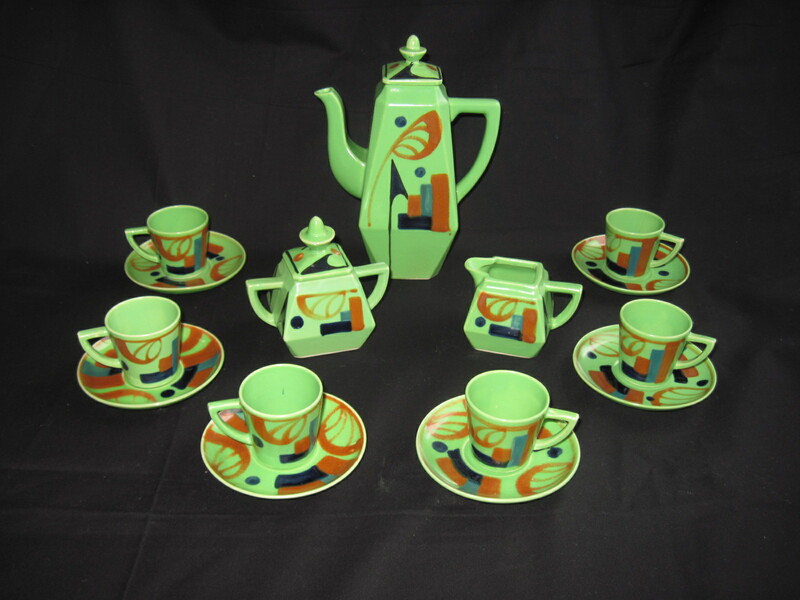 This set probably dates to the 1930’s. It is foreign made, most like from Japan. Will be for sale at my booth at the Almonte Antique Market, 26 Mill Stree, Almonte Ontario. Priced at $75 for the set. These cups and saucers are all by A.B.J. 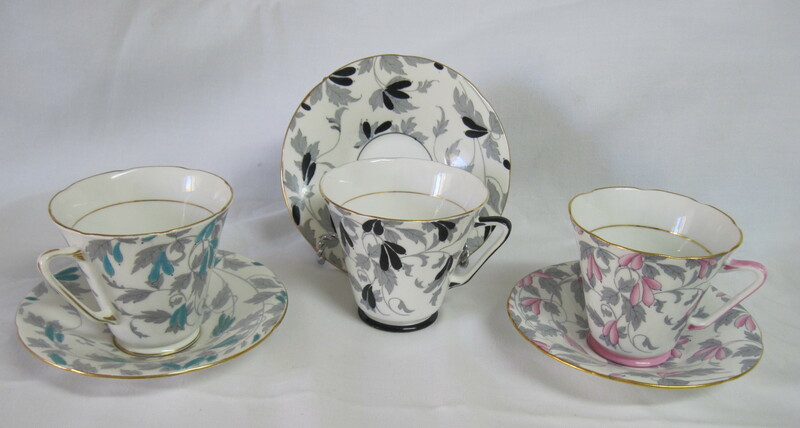 Grafton China Co, made in England in the late 1940’s. 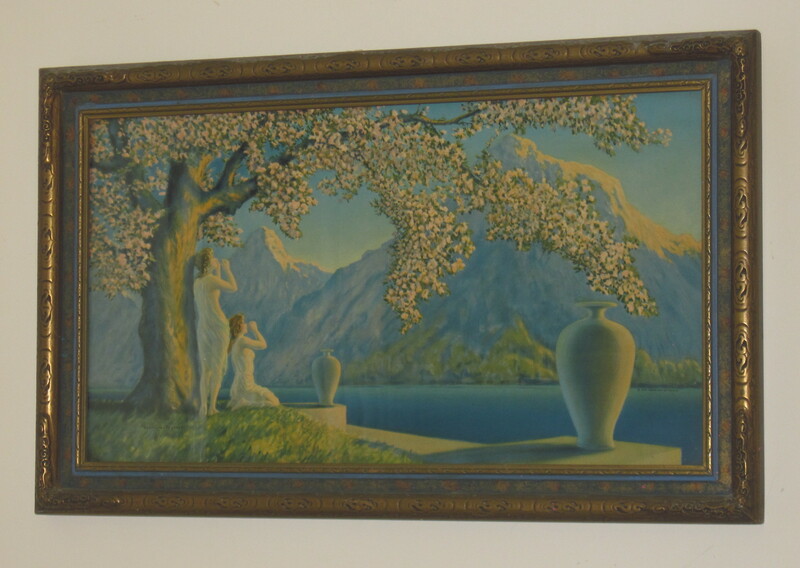 This was the end of the Art Deco period. 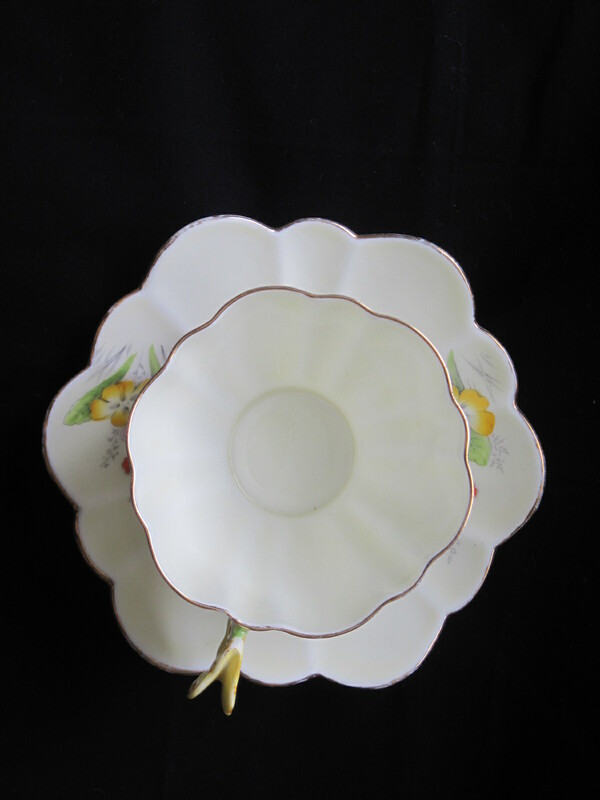 Styles of dishes began to change after WWII. The pattern is called ‘Ashley’.